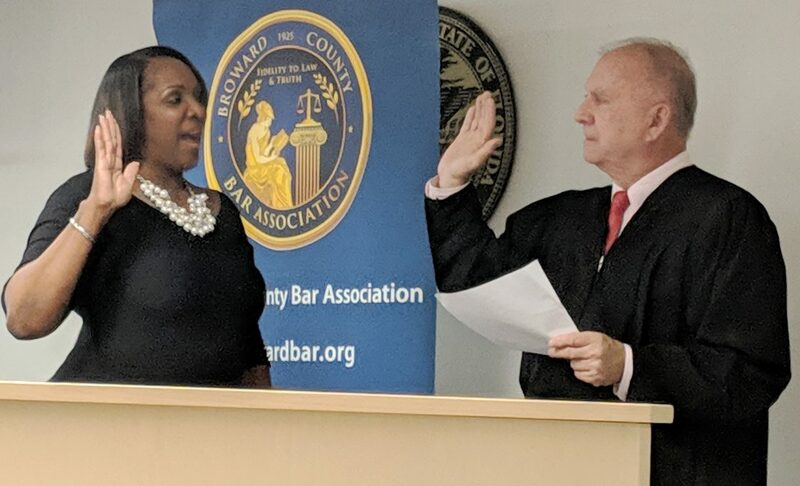 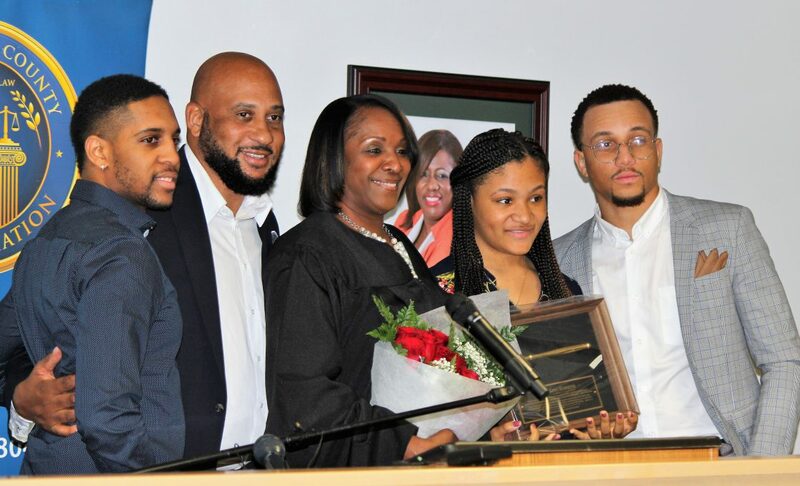 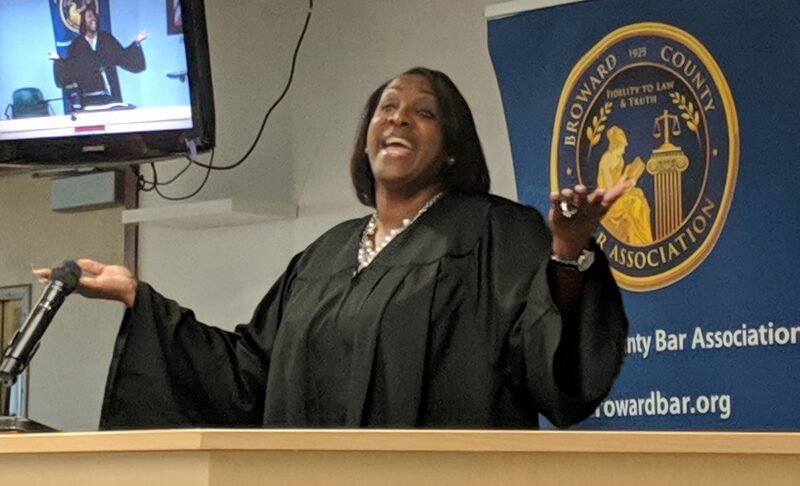 The investiture of Judge Gina Hawkins took place Friday, February 8, in a jury room packed with friends, family, and co-workers. 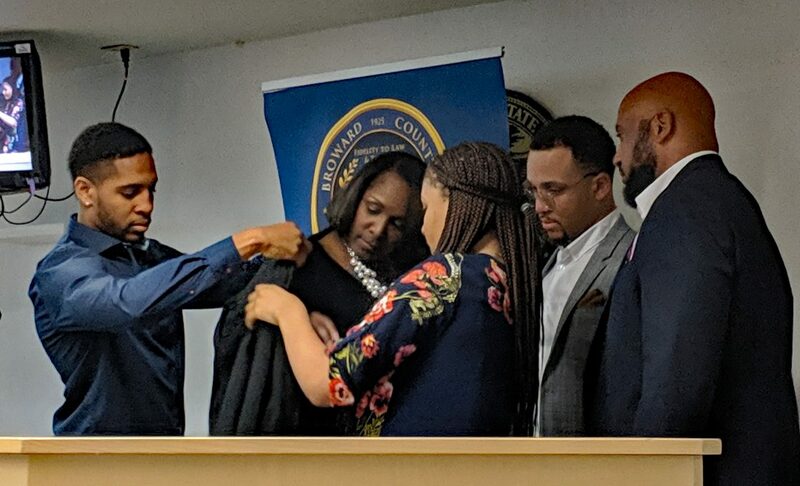 Chief Judge Jack Tuter swore Judge Hawkins in, and her family robed her. 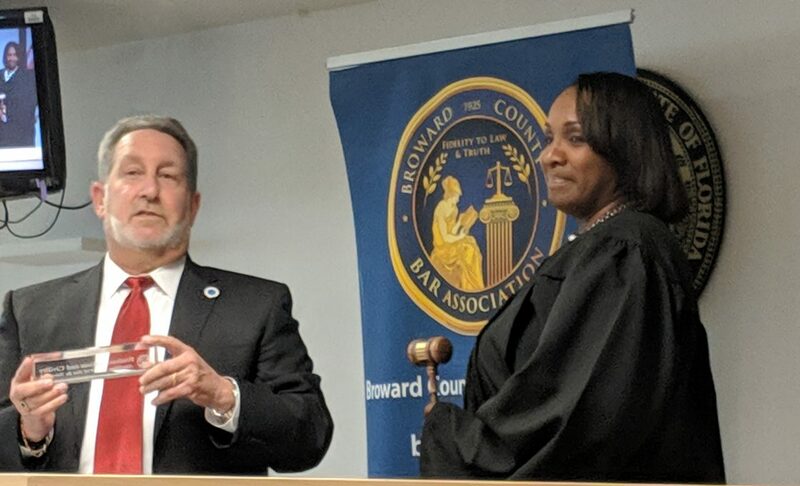 Judge Hawkins was appointed by former Governor Rick Scott and presides in the Family division of the Seventeenth Judicial Circuit.